Sanctified Soil CSA provides members the opportunity to eat freshly picked food that is grown where they live. Your food will not be genetically modified. Your food will not be covered in synthetic chemicals. Your food will not be "treated" to stay "fresh", while being tasteless and lacking nutritional value. Your food will not be "waxed" to look pretty. Your food will be food. Find out more about what you can expect with your Share. A CSA is Farm Membership. Sanctified Soil Members receive a share of the produce that is harvested during the 20 week harvest season of the Farm. A membership will ensure that you will receive the finest of the produce available each week. Your produce will be picked, packed and delivered to a central pick-up location every week. Thank you! We will be in contact soon with more information. You can also reach us at (573)429-2575. As a member, you will be given the opportunity to come to the Sanctified Soil farm and view the infrastructure. You can meet the Evans family and get to know us. You can even get your hands dirty. You can work in the garden and witness the planting, hand weeding and harvesting of food, the old fashioned way. 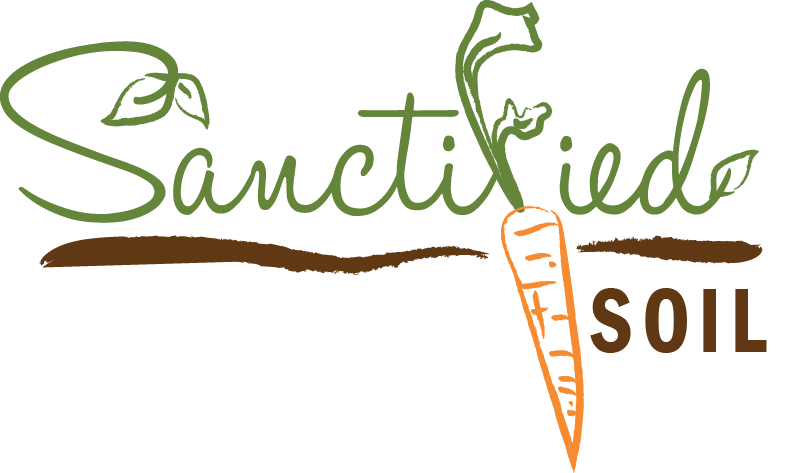 Find out more about the Sanctified Soil farm family.